Running in Luxembourg. 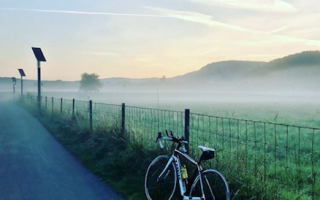 Best routes and places to run in Luxembourg. Luxembourg City is the capital of the Grand Duchy of Luxembourg. Surrounded by Belgium, France, and Germany, the city is characterized by great cultural diversity and architectural contrasts. 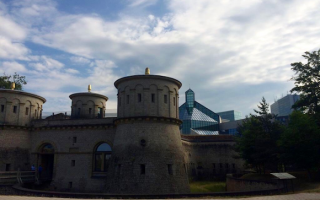 When running in Luxembourg, you will be able to admire a wonderful blend of historic and military monuments as well as modern contemporary buildings. 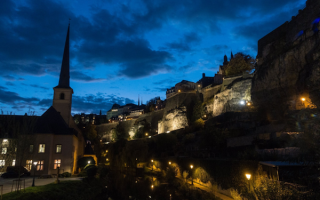 The Old City of Luxembourg was founded on top of a rock (the “Bock”) in the year 963, and between the 16th and the 19th century it was considered one of the largest fortresses of Europe—hence the moniker “The Gibraltar of the North”. The remains of the legendary fortress are still visible throughout Luxembourg City and together with the Old City quarter they are a UNESCO World Heritage site. In contrast to the impressive military architecture in the Old City, the Kirchberg plateau features a number of avant-garde buildings. The Kirchberg district also houses most of the European institutions based in Luxembourg. Luxembourg is great for running. We’ve put together a ‘runseeing tour’ of the city historic highlights, the Wenzel Circuit highlighting the ramparts of the Chemin de la Corniche, and several routes incorporating the many parks and gardens. 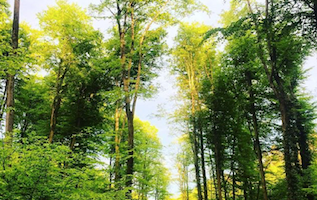 The trails of the Bambësch Forest are only 5 km from the city center, and just to the north, there are some longer cycle paths and nature parks taking advantage of the Ardennes Forest. One advantage related to the small size of Luxembourg’s capital city is that most places within the city are very easily accessible on foot or by bicycle. Luxembourg also benefits from a great quality public transport network. A 10k 'runseeing' tour of Luxembourg. Highlights include paths along the Petrusse and the Alzette rivers, Upper Town, the pedestrian quarter of the Old City, and trendy Clausen district. 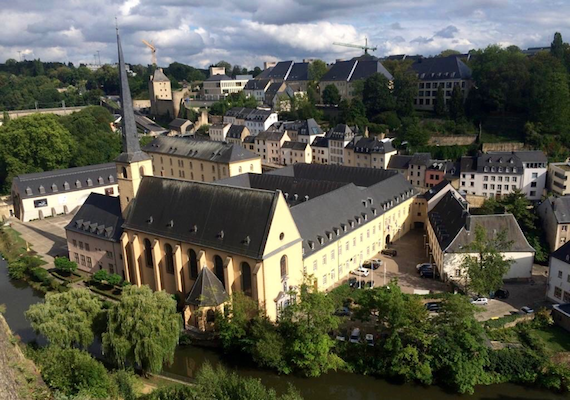 This iconic route will take you through the oldest quarters of Luxembourg City, following parts of the way-marked Wenzel Circular Walk circuit. Also sections along the Chemin de la Corniche and Rham Plateau. 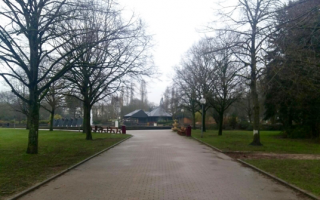 A short route featuring two small but lovely parks for running: Parc Municipal and Parc Merl-Belair. The city park has a London feel to it with spacious lawns and paths, while Merl-Belair, less than 1 km away has nice, landscaped grounds. 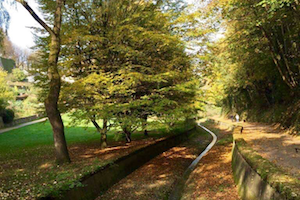 The Petrusse valley parks are a bit of a hidden gem in the middle of the city. Coming off the Adolphe Bridge, highlights include the St. Quirinus Chapel built straight into the rock, impressive fortification ruins, and some strange rock formations. 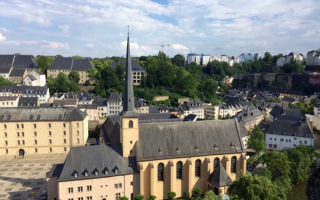 A longer Luxembourg run, focused on the more modern Kirchberg district but also incorporating some other Luxembourg highlights, including Luxembourg University, the Grund, and Clausen. Some great trail running only 5km away from the city. Network of forest trails used by hikers, runners and cyclists, but not too crowded. We've mapped a 7km ‘perimeter’ loop, but there are several other marked loops and interior paths. A flat route along a quiet way-marked bike path in the countryside. Run by cattle fields and admire beautiful views of the forest either side of the valley. Numerous options for a one-way run and then train it back to the city! 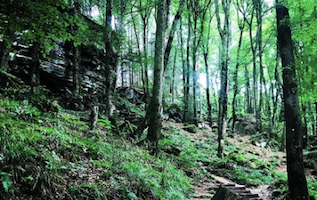 A runnable forest trail in the 'little Switzerland' part of Luxembourg, about 30 km east of the city. A well-known trail, "Route 2" goes for up to 37 km, through several towns, with viewpoints and interesting rock formations. are just below. Runners should be prepared for icy surfaces and possible snow. During summer, temperatures are mild but not overly warm, with July highs of 22C (72F) and coolish nights dipping into the 50sF (13C). 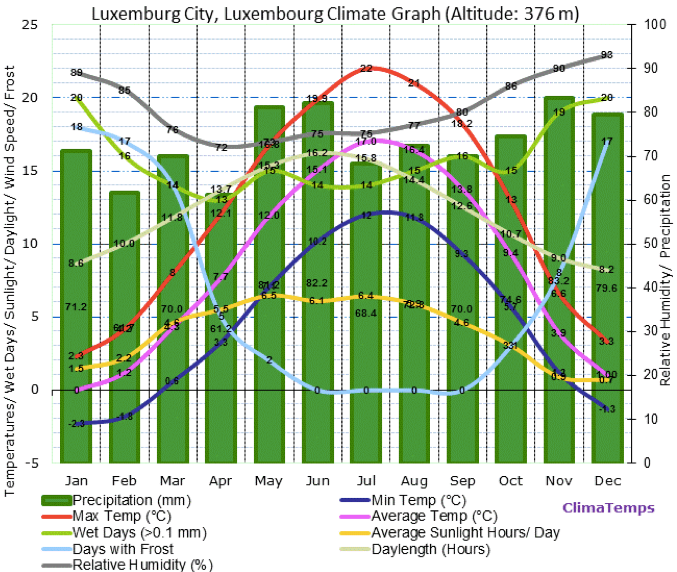 Luxembourg gets a fair bit of precipitation at all times of year. Note that due to its latitude, winter days are short but summer daylight lasts deliciously long. There are a number of hotels and Airbnb apartments in the Luxembourg city centre area. If you stay in the “Grund” or Luxembourg City’s Lower Old Town you will be in a beautiful historic part of the city with plenty of trendy bars/restaurants and good running paths along the banks of the Petrusse and Alzette Rivers. The Luxembourg city youth hostel is a very good quality hostel right in the middle of the city. Peters Sports About 10km from the city centre. FatBetty.Run. A group running meeetup. Group Runs: Thursday 18:30pm near the central train station. Super fun and laid-back atmosphere. Grand-Duchy Hash House Harriers. Group Runs: Monday 19:00pm during the summer, Sunday 11:00am during the winter. ING Night Marathon. May. Marathon, Half-marathon and Team Run. Most popular running race in Luxembourg. DKV-Urban Trail. April. A number of distances ranging from 13km to 34km. JP Morgan City Jogging. July. Popular 10k race through the city centre. Free entry. Route du Vin. September. Half-Marathon along the Moselle river, about 30km from the city centre. Walfy Run. October. 14.2km in Walfer about 10km from the city centre (easily accessible by train or bus). Ultratrail du Mullerthal. September. Trail running race in the stunning Müllerthal area. Choice between 18km, 38km, 75km and 112km distances. Best aid station food ever. About 30km from Luxembourg City (a car is helpful to get to the start).